As much as I would love to serve my family some extravagant culinary creation for dinner each night, it simply can't happen during the week. Quick, easy, and tasty is the name of the game when it comes to our weeknight meals, and these turkey meatballs definitely deliver that trifecta. 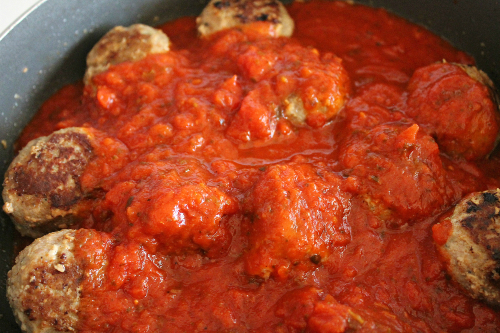 Unlike traditional meatball recipes, there's no mincing, chopping, or dicing, so I save a ton of time in the kitchen. Instead, these call for the usual egg and breadcrumbs, along with a few seasonings that I always have on hand. And since they're made with lean turkey instead of beef and pork, they're also on the lighter side. It's a perfect hearty and healthy meal that comes together quickly, which means I get to spend more time with my family. In a medium bowl, mix turkey, egg, breadcrumbs, Worcestershire sauce, and seasonings with hands until incorporated. Use an ice cream scoop to scoop out meat mixture and roll between your palms to form meatballs. 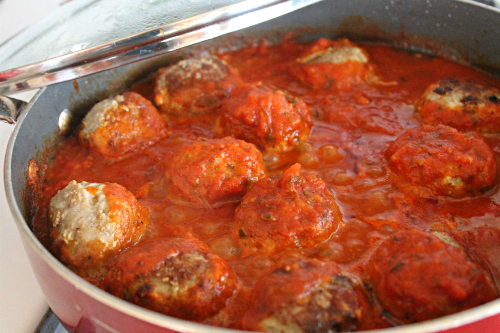 It helps to make all the meatballs at once before adding them to the skillet so they cook evenly. Spray a large skillet generously with cooking spray and heat over medium-high heat. 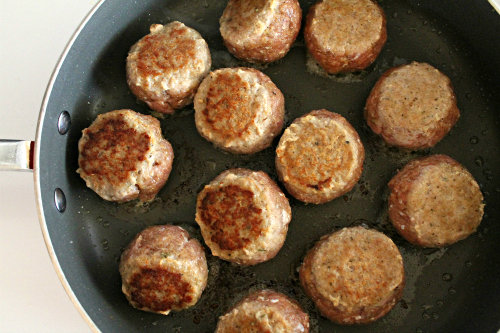 Add you meatballs in a single layer and brown for about 2-3 minutes on each side. Use tongs to turn the meatballs. Add entire jar of pasta sauce, cover, and lower heat. Simmer for 20 minutes and serve. 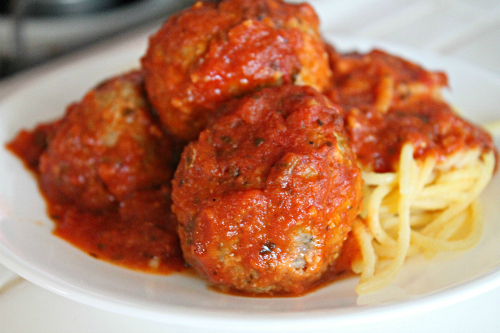 We typically eat this as a main course but you could just as easily serve these meatballs as an appetizer with some toasted Italian bread.